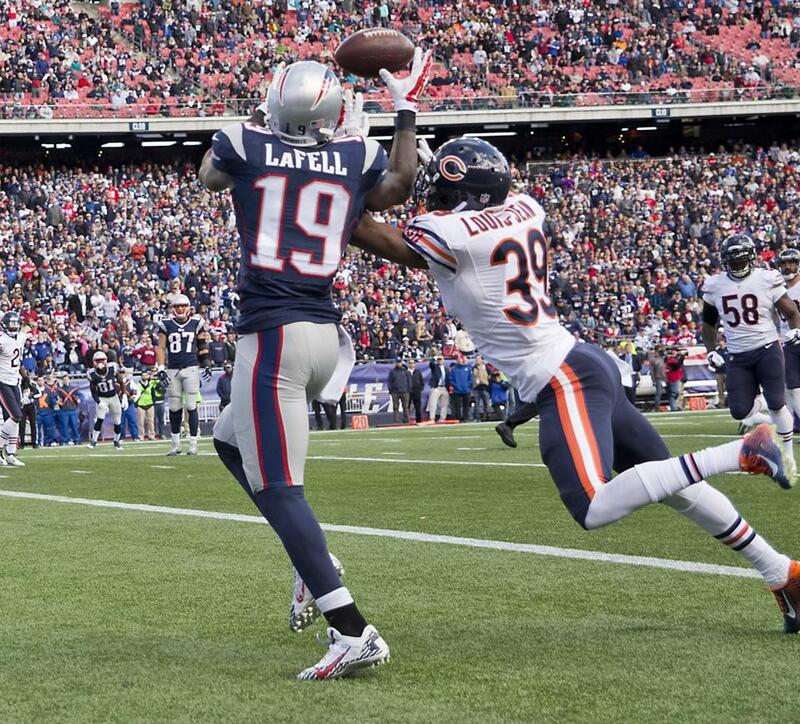 Brandon LaFell caught a 9-yard touchdown pass in the second quarter over Bears defensive back Al Louis-Jean. The Patriots scored 31 points in the second quarter vs. the Bears Sunday, including three touchdowns in less than a minute, to build a 38-7 lead before halftime. After quarterback Tom Brady connected with tight end Rob Gronkowski on a 2-yard touchdown pass with 1:52 left in the second quarter, the Patriots forced a punt on Chicago’s next possession. 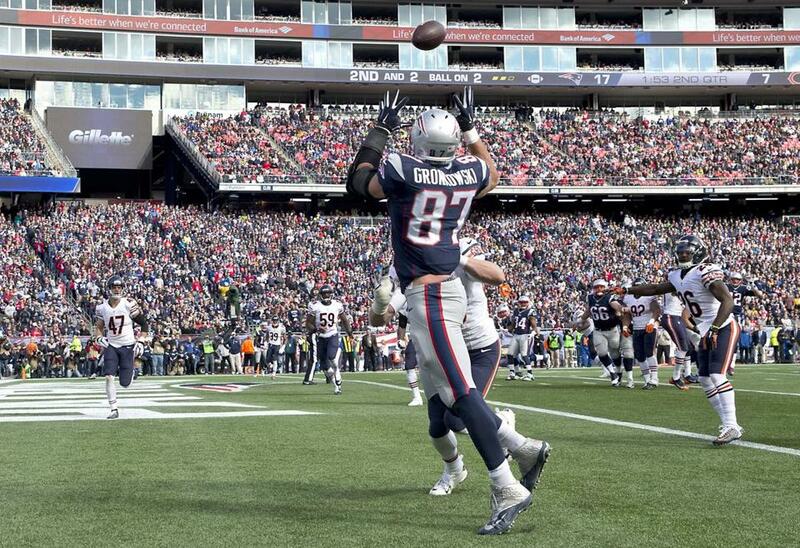 Rob Gronkowski’s second touchdown reception came on a fade pattern. A 42-yard return, plus a penalty on the Bears, gave the Patriots the ball on the Chicago’s 9-yard line. On the Patriots’ next play, Brady hit Brandon LaFell for a touchdown that made it 31-7 with 1:07 left in the second quarter. 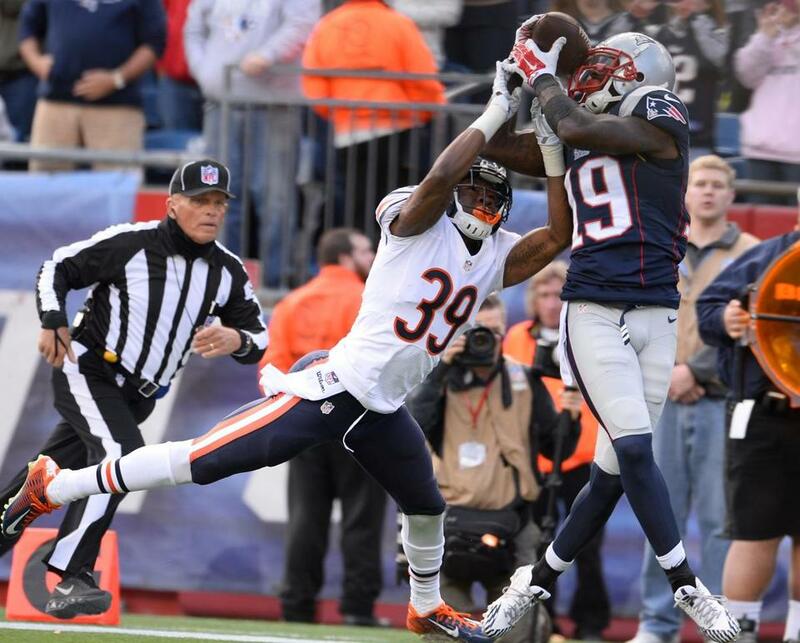 Brandon LaFell scored on the first play after the Patriots returned a punt to the Bears’ 9-yard-line. On the Bears’ first play after receiving the kickoff, Chicago quarterback Jay Cutler fumbled, and defensive end Rob Ninkovich recovered and returned it 15 yards for a touchdown with :55 left. The 38 points allowed in the first half were the most in Bears franchise history. 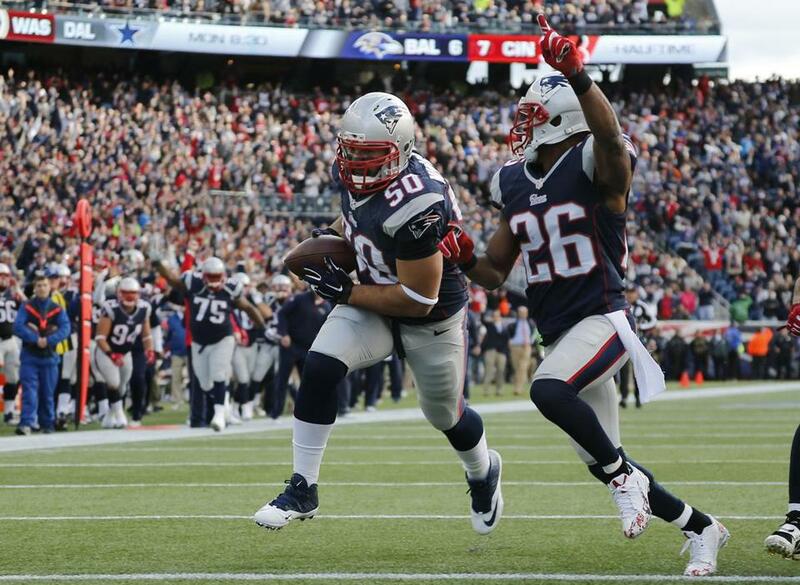 Rob Ninkovich recovered a fumble by Bears quarterback Jay Cutler and returned it for a touchdown.